Create a Learning & Development (L&D) Library with your company-specific training courses and other learning interventions/activities (internally or externally provided). Manage employee Personal Development Plans (PDPs) and Career Development online (accessible by HR, managers and employees). 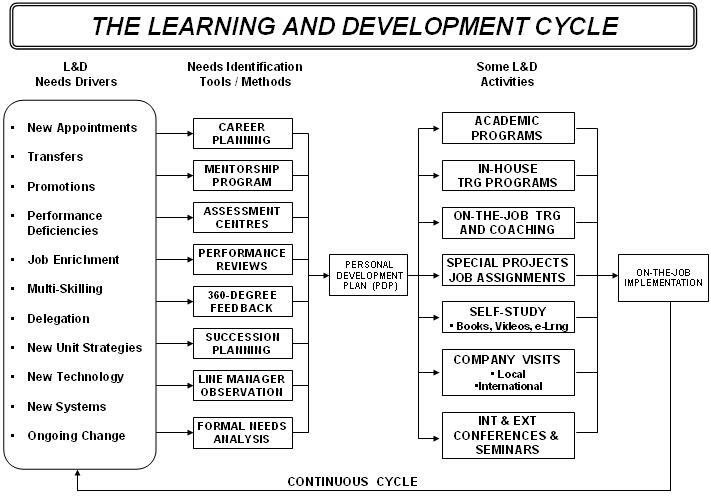 In addition to learning activities selected from the L&D Library, other learning activities can also be added to an employee's PDP such as on-the-job coaching, job rotation, special assignments, projects, etc. L&D Reports can be produced at all company levels - on demand and in real time - to see who (and how many employees) are earmarked for the different training activities, who has been through specific training, what training is overdue, etc. Reports can be generated by unit/department, location, job title, employee, line manager, target group, attainment, status, and L&D activity, or any combination of these. L&D histories are permanently archived in the system database for easy access at any time, for year-round internal and external audit preparedness, and to ensure organization-wide training/learning compliance. The Learning Management Module is an optional add-on module to the core Appraisal Smart System (regular employee performance appraisals) and/or the Smart360 (360-degree feedback) System.